D.T. Max, DFW’s biographer, and author of Every Love Story Is a Ghost Story: A Life of David Foster Wallace says he first read Infinite Jest, a novel DFW wrote in his early 30s, when he himself was in his early 30s, and says he didn’t get it. He now sees himself himself as one of the “morally righteous immature people” that the novel portrays. D.T. Max’s biographical approach was to focus on story, not to detail each moment of his life. 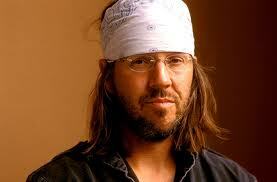 For DFW there was always the “so muchness of life” and as a biographer he was faced with a similar challenge. How to write a good story that represented who the writer was, that helps us to understand him a little more, without a Hollywood ending, and under the pressure of writing as a fan who probably didn’t understand David as well as many of his fans did. David was comfortable with the idea that his books could instruct. He wasn’t unaware that a lot of life is looking for models, for archetypes. Why people care so deeply about David–not just because of the struggles with the depression–it’s that he thinks we feel that David really cares about you. Which is really interesting because he was also very narcissistic. But he had this ability to make people feel a real connection with him. He had an ability to universalize his hurt. He neediness was vast. Highly successful functioning.